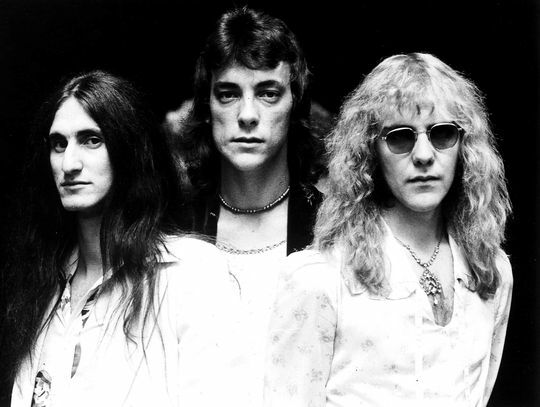 Geddy Lee and Alex Lifeson reveal “The Legend Of The Bag”, which saw Lifeson dress up as ‘The Bag’ to entertain fellow band members and touring partners, including KISS. The after-show party often ended up in KISS guitarist Ace Frehley’s room, with The Bag entertaining everyone…except Gene Simmons. “Gene was straight and wasn’t high like we were,” says Lee, “so he had a different sense of reality when he came into Ace’s room. We were drinking, smoking and generally being idiots. Named after a track from 1987’s “Hold Your Fire” and narrated by Paul Rudd, "Rush: Time Stand Still" is a documentary that covers the "R40" tour and the unique relationship Rush have with their devoted fans. Rush will premiere “Time Stand Still” in cinemas on November 3 prior to its release on DVD and Blu-ray on November 18.